With all that time and money you spent on social media marketing on LinkedIn, you want to see results. And, you can get good results by tracking your progress. 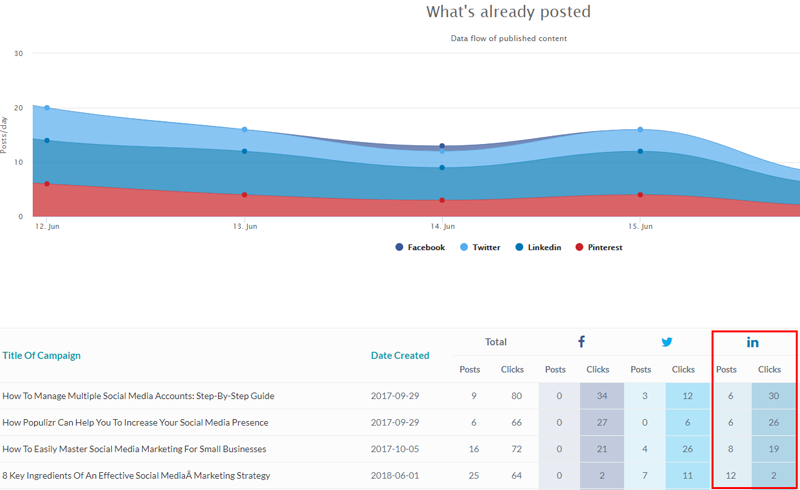 Tracking certain metrics will help you measure the effectiveness of your social media marketing strategy. When you know how successful or unsuccessful your campaigns are, you can make improvements. However, there are plenty of metrics to measure your progress, and it is difficult to tell which of them is the most relevant for your business. 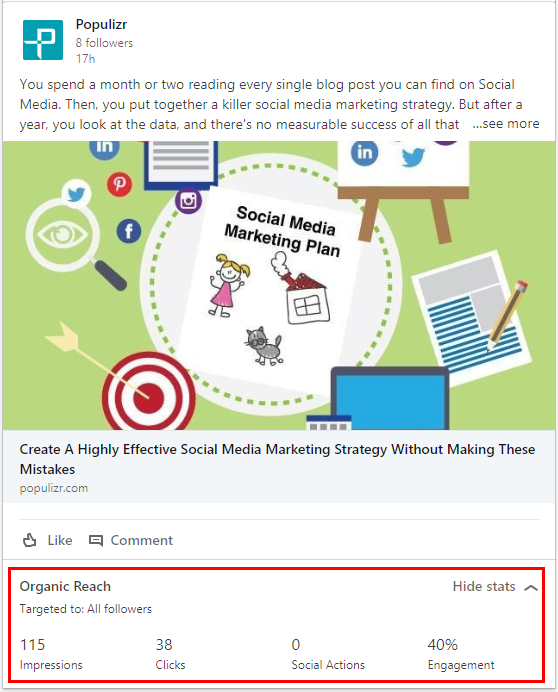 Here are 3 essential metrics to measure the results or rather the effectiveness of your social media marketing: Impressions, Engagement, and Social Traffic. But which of them matters the most for your brand on LinkedIn? Keep reading and find out! When we talk about Impressions, we talk about how many times certain update was seen on LinkedIn. For instance, when you scroll down your LinkedIn news feed, you can see updates of your connections. Seeing an update once counts as a first Impression. But what happens if you scroll down your news feed later on, and see the same update again? If you see the same post twice, you make two Impressions, and if you see it five times, that counts as five Impressions. It is simple as that. Measurement of Impressions mostly matters if you want to create brand awareness on LinkedIn. It helps you find out who will be interested in your brand. LinkedIn analytics makes this possible. So, if you measure Impressions that means that you are on the top of the funnel. 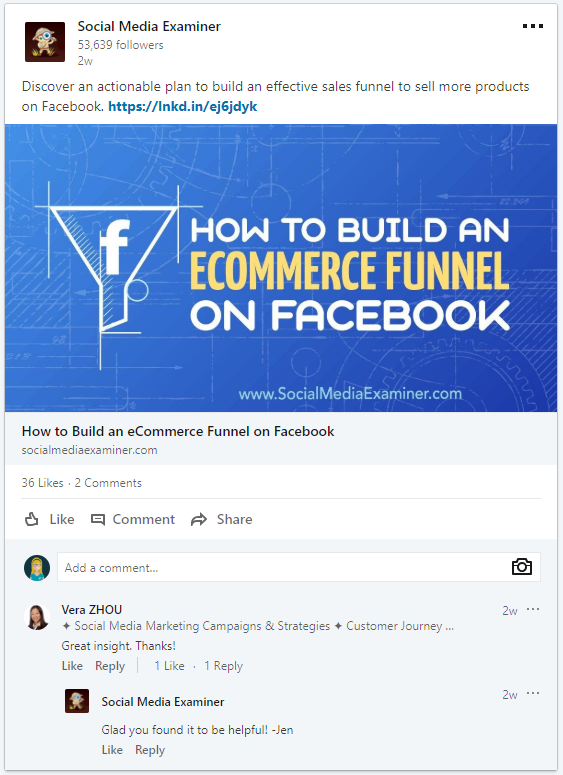 At this stage you want LinkedIn users to become aware of your brand and then connect with you. Once users made Impressions, it is expected for them to engage. We can say that Impressions are the beginning of Engagement, but not real Engagement just yet. Engagement is another useful metric that measures the effectiveness of your LinkedIn marketing strategy. It is especially important for businesses that sell their products on social media. When users engage, they comment, like, and share updates they find interesting or meaningful. And, even though these social signals don’t sell a product directly, they do influence selling indirectly. With their activity, they build brand recognition which makes a business more trustworthy. All these, comments, likes, and shares make a business more popular. And, when we see a business that is well liked it is easier to become their client. This pretty much has to do with psychology. It is not about selling the best product out there, but about choosing our favored brands. Although Engagement is very often overrated when it comes to ROI, it is essential to measure it. Tracking it, you can tell how effective your efforts on LinkedIn are. 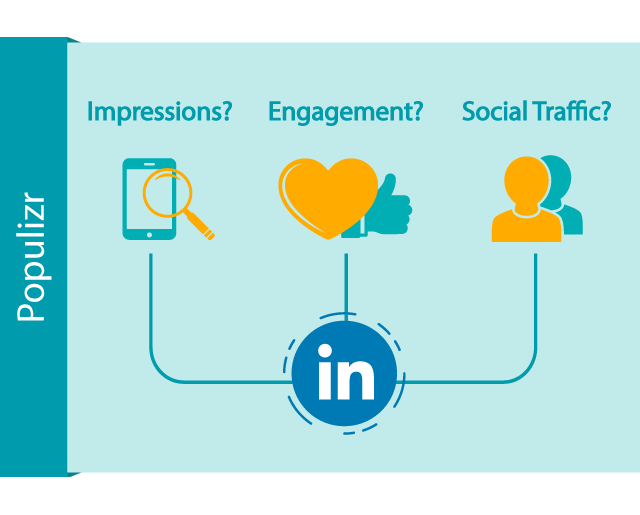 Social traffic is traffic that comes to your website from LinkedIn. You target the right audience and promote your business. And, when these users make Impressions and engage with your content, they are very likely to visit your website as well. This means that they are a step closer to becoming your clients. So, if you sell a product on a website, measuring Social Traffic is a MUST. It is crucial to treat your LinkedIn profile as a website. Posting regularly, posting high-quality content, engaging with your followers, improves Social Traffic and brings customers in the long-term. Impressions, Engagement, and Social Traffic are important metrics that track and measure your social media marketing progress. You should always include them as a part of your social media marketing strategy since it is the best way to improve your business and achieve your goal. Impressions – the number of times an update was seen. They are the beginning of the process of getting long-term customers. Without Impressions, you can’t create brand awareness. Engagement – it is important for users to engage, they indirectly help you sell by building brand recognition. It is especially important to get engagement on LinkedIn if you sell on your website, and want to drive Social Traffic. When users engage in a post, they share, like, comment, but this is not your end goal. Social Traffic – the traffic driven from LinkedIn. When people come to your website, it means that they are interested in your content, they follow your updates and are engaged in your posts by commenting and sharing. They are interested in the service/product you sell and are most likely to become your clients. Bear in mind that all these three metrics are correlated and important for your brand. They are all crucial for your business. Focus on getting Impressions, likes, shares, and comments. But, these aren’t currency and won’t buy you food. So, treat your LinkedIn profile as a website, and aim at getting Impressions and Engagement for the sake of getting Social Traffic. Eventually, Social Traffic will turn into clients, and you will be able to enjoy your success. Happy metrics measuring!